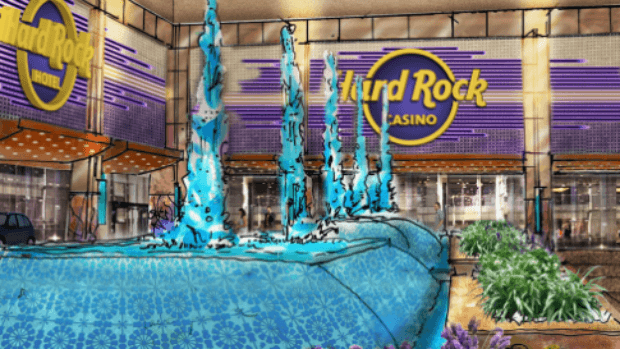 This summer, the Hard Rock Café Hotel and Casino in Atlantic City, New Jersey will open its doors to potential gamblers and hotel guests alike. While formerly known as the Trump Taj Mahal, the future site promises to bring customers much more than a wide variety of 2,200 slots and 125 table games. With its obvious rock n’ roll theme, the hotel chain is known for hosting a vast amount of musical talent and the Atlantic City installment will be no different. The concert venue has been expanded to seat 7,000 total patrons up from 5,200 in preparation for 200 nights of music in the hotel casino’s first year open alone. According to Allen’s bio, his extensive background in casinos goes back to 2001 since when he has maintained responsibility for gaming operations of the Seminole Tribe of Florida. With seven casinos throughout the state, Allen has been at the forefront of one of the most profitable gambling businesses in recent history"
"Allen led the Seminole Tribe of Florida’s 2007 acquisition of Hard Rock International, the first acquisition of a major international company by a North American Indian Tribe. He also guided successful Gaming Compact negotiations between the Seminole Tribe, the State of Florida and the U.S. Department of the Interior. Chairman of Hard Rock International, Allen oversees all operations of one of the most globally-recognized brands, known for rock music and its signature cafes, hotels, casinos, memorabilia and live concerts, with venues in 74 countries, including 177 cafes, 24 hotels and 11 casinos, plus Hard Rock Stadium in Miami." Rummy Pandit, who serves as the executive director of the Levenson Institute of Gaming, Hospitality & Tourism at New Jersey’s Stockton University, is also bullish on the prospect of the casino’s extensive music schedule bringing a lot of tourist revenue as well as its gambling, retail food and beverage industry. The Hard Rock Atlantic City stands to make an even bigger splash should sports betting be legalized by the Christie vs. NCAA Supreme Court decision as it would make New Jersey the only state other than Nevada to allow sports betting. That makes the investment all the more worthwhile as Atlantic City and New Jersey are poised to become a mecca for entertainment, music and gaming in the U.S.